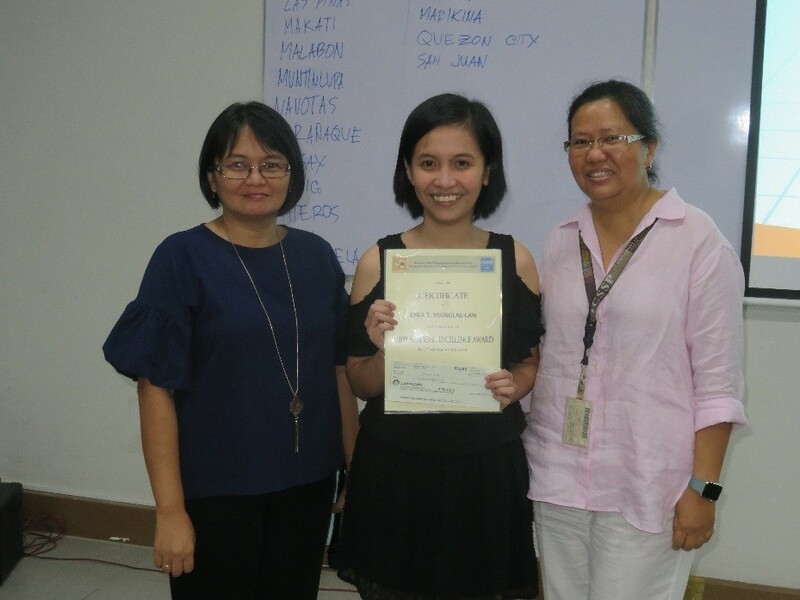 Ms. Lyka T. Manglal-lan, Master Population Studies (MPOPS) student, got the highest general weighted average (GWA) among her fellow graduate students for the 2nd semester of academic year (AY) 2017-2018 thereby winning for herself the UP Population Institute Academic Excellence Award. With her GWA of 1.3, Ms. Manglal-lan won a certificate and a cash prize worth P5,000.00. Ms. Manglal-lan is the seventh conferee since the merit-based award was introduced by the UPPI in 2014. In the previous semester, Master of Arts in Demography (MADEM) student Mr. Alberto Marin got the prize. Since 2014, the award was called UPPI Alumni Book Grant until it was renamed in September 2017.